The past three weeks we have treated the Halloween season quite seriously, with dramatizations of Frankenstein, Dracula, and a dark sub-class of outsiders who live in the musty back rooms of cavernous department stores and who practice murderous rites. This final Halloween episode goes in a decidedly different direction, as we present an episode featuring Leslie Charteris' famous detective Simon Templar, the Saint. 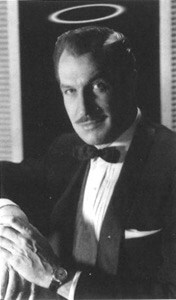 The Saint, as a radio show (there were movies, tv shows, novels, and even comic books), ran from 1947-1951, almost all episodes featuring Vincent Price. This episode, "The Ghost That Giggled," aired on September 17, 1950, with acclaimed radio, tv, and movie actor Barry Sullivan (photo at right) starring as the Saint, as Price was unable to make it back to the States in time from a business trip to Paris. 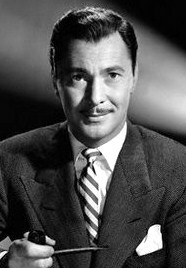 Nevertheless, Sullivan does a grand job of capturing the witty, urbane Saint, snapping off one-liners at almost every turn--and in this particular episode many of his ready rejoinders are rather racy for the time, being loaded with sexual innuendo. I found myself chuckling aloud at the unexpected adult humor. As a bonus following the Saint episode, we bring you a rare 15-minute episode from a short lived (1949 only) radio show titled Unsolved Mysteries. The show self-proclaimed itself as having "stories of unexplained, true happenings," and this particular episode explores the truth behind Haitian zombies. It is titled "Mystery of the Zombie" and dramatizes--fictionally--what are purported to be the actual facts behind zombies and how they are created. Did you know that Haiti (at least at the time of this broadcast) had laws on its books prohibiting the creation of zombies to work its cane fields? Are zombies real? 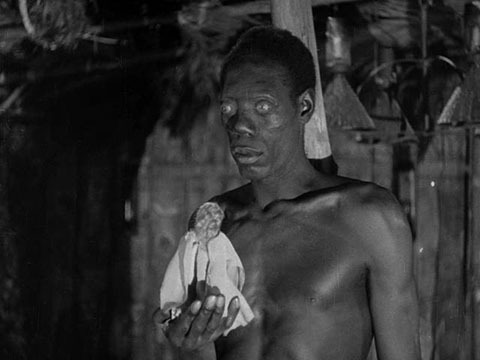 Are people brought back from the dead using voodoo? Poison? Some form of suspended animation? Listen to the "Mystery of the Zombie" and find out!